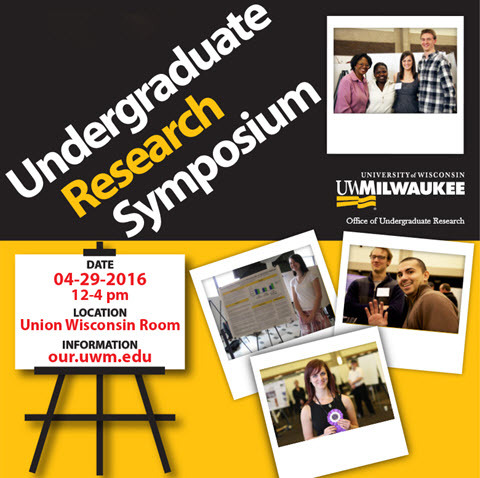 UWM Digital Commons - UWM Undergraduate Research Symposium: Development of a Flow Analysis Method Based Upon Solvent Extraction and its Application to the Maillard Reaction. Development of a Flow Analysis Method Based Upon Solvent Extraction and its Application to the Maillard Reaction. The long-term goal of this research is to develop new analytical tools to better understand the Maillard Reaction. The Maillard Reaction, which occurs between a carbonyl compound and an amine, is the reaction behind the nonenzymic browning of food as well as complications in Diabetes mellitus. This reaction is complex and a wide array of compounds are formed. This reaction is poorly understood and developing better tools to study it will have major benefits. We will describe a method of liquid-liquid extraction (LLE) implemented with Sequential Injection Analysis (SIA) that we apply to the Maillard reaction. In the our method, samples are pre-concentrated and separated from the matrix by a flow-through LLE approach. Aqueous and organic streams merge and form alternating zones, each having a different selectivity for the analyte. The method uses differential flow velocities in which the organic phase moves slowly and forms against the wall of the tubing. Furthermore, by judicious choice of the aqueous:organic stream volume ratio, a pre-concentration effect of ~50-fold can be realized as well. Our focus is on the optimization of key factors in the SIA-LLE method to create a more efficient way to extract the analyte. Modifications to the organic phase, including an alternative to hexanol and the use of modifiers to fine tune the polarity, will be described. Optimization of the extraction coil dimensions and material used will also be presented. Finally, we will describe interfacing the SIA-LLE manifold to a Nuclear Magnetic Resonance (NMR) spectrometer. NMR has qualitative power to elucidate the compounds, but suffers from poor sensitivity and selectivity. We will compare the SIA-LLE-NMR results to a conventional flow-based LLE method, demonstrating that the SIA-LLE-NMR method provides a powerful analytical tool to better understand the Maillard Reaction.The long-term goal of this research is to develop new analytical tools to better understand the Maillard Reaction. The Maillard Reaction, which occurs between a carbonyl compound and an amine, is the reaction behind the nonenzymic browning of food as well as complications in Diabetes mellitus. This reaction is complex and a wide array of compounds are formed. This reaction is poorly understood and developing better tools to study it will have major benefits. We will describe a method of liquid-liquid extraction (LLE) implemented with Sequential Injection Analysis (SIA) that we apply to the Maillard reaction. In the our method, samples are pre-concentrated and separated from the matrix by a flow-through LLE approach. Aqueous and organic streams merge and form alternating zones, each having a different selectivity for the analyte. The method uses differential flow velocities in which the organic phase moves slowly and forms against the wall of the tubing. Furthermore, by judicious choice of the aqueous:organic stream volume ratio, a pre-concentration effect of ~50-fold can be realized as well. Our focus is on the optimization of key factors in the SIA-LLE method to create a more efficient way to extract the analyte. Modifications to the organic phase, including an alternative to hexanol and the use of modifiers to fine tune the polarity, will be described. Optimization of the extraction coil dimensions and material used will also be presented. Finally, we will describe interfacing the SIA-LLE manifold to a Nuclear Magnetic Resonance (NMR) spectrometer. NMR has qualitative power to elucidate the compounds, but suffers from poor sensitivity and selectivity. We will compare the SIA-LLE-NMR results to a conventional flow-based LLE method, demonstrating that the SIA-LLE-NMR method provides a powerful analytical tool to better understand the Maillard Reaction.